Music training leads to greater gains in auditory and motor function when begun in young childhood; by adolescence, the plasticity that characterizes childhood has begun to decline. Nevertheless, our results establish that music training impacts the auditory system even when it is begun in adolescence, suggesting that a modest amount of training begun later in life can affect neural function. 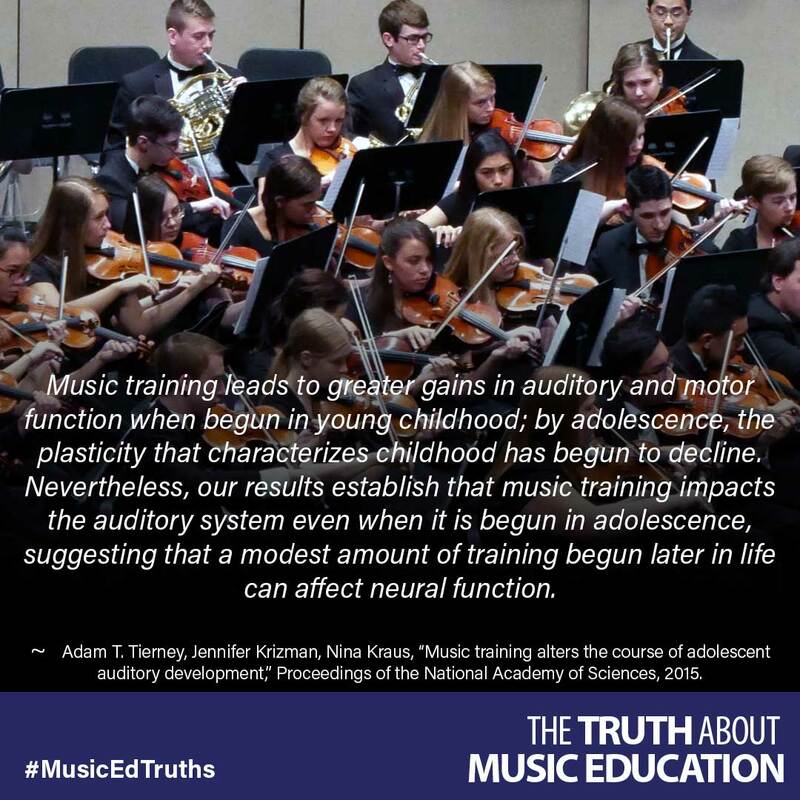 ~ Adam T. Tierney, Jennifer Krizman, Nina Kraus, “Music training alters the course of adolescent auditory development,” Proceedings of the National Academy of Sciences, 2015.